Jon Pearce, the global Chief Creative Officer of Hudson Rouge, deserves the accolade creative genius. 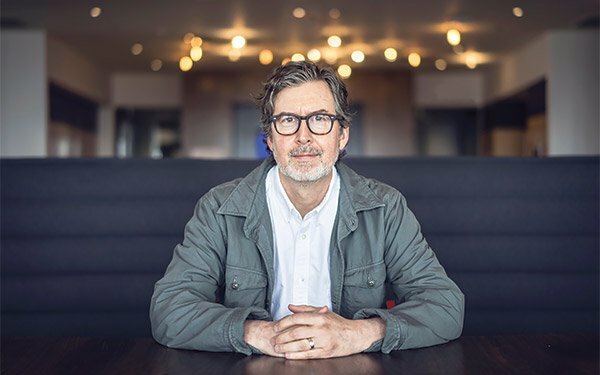 He has helped transform the once-stodgy Lincoln Motor Company into a relevant and buzzworthy brand. Who can forget the infamous Matthew McConaughey spoken-word spots that were spoofed by everyone from “Saturday Night Live” to Ellen DeGeneres? Everyone was talking about them. “Making fun” is the best free advertising ever. While likes and recognition are wonderful, Pearce’s campaigns have also driven sales. The car company hasreported four consecutive years of global sales gains, expected to reach 300,000 sales by the end of the decade. This is notable, as the company was seen as passé just a few years ago. In fact, Ford Motor CFO Bob Shanks has gone on the record to journalists emphasizing the brand is now safe — though he neglected to call out Pearce and his team for their part in the revival. McConaughassance execution. Lincoln’s “Hello, Again” campaign with musician Beck reinterpreted David Bowie’s “Sound and Vision,” orchestrated with 167 musicians of every genre. The live event transformed into a 360-immersive digital experience that used facial recognition via the laptop’s camera. Viewers could simply turn their heads to revolve the stage — from hearing metal guitars to watching gospel singers belting out the song. In 2015, the Effies recognized the Music Selfie Experiment, which asked millennials a simple question: What does their face sound like? The result? Lincoln was the top auto brand on social media at the 2015 Grammys. Pearce’s creativity has driven many to the bespoke agency. While Glassdoor’s anonymous ratings negatively speak about the agency’s politics and lack of client breadth, nearly all acknowledge the “great minds and creativity, great team atmosphere and dynamic.” Left unspoken is the fact this vision comes from Pearce, the leader at the top. Though his work centers around Lincoln, since the WPP-owned shop was developed solely for the auto client, Pearce and his team are set to take on additional luxury brands and projects.